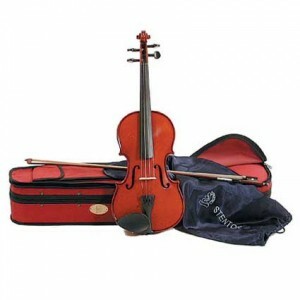 The most popular student violin at Crescendo music shop for 20 years. Superb value, quality and tone. Includes a horse hair bow, rosin and a shaped case. Ebony fingerboards and tuning pegs. Alloy tailpiece with built in adjusters. Strong, good tone and economical.